So you've been quoted as referring to a belief-less Christianity. What does that mean? And since the Presbyterian faith is grounded in numerous "beliefs", how is it that you are Presbyterian? And of course, my sermons. An interview with Hemant Mehta of the Friendly Atheist is coming up next week on Religion For Life. I think you will enjoy that. 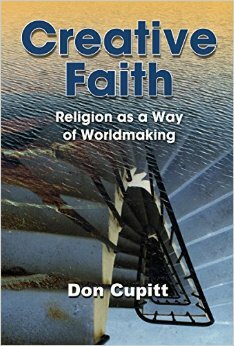 I also interviewed Don Cupitt who just published his 50th book, Creative Faith: Religion As A Way of Worldmaking. You will like him, too! So I am arguing that it is time for some of us to start being courageous. We must leave behind both cultural and ecclesiastical Christianity, admit our emptiness, and struggle for a new beginning. My constructive proposal is that we should learn to see our belieflessness not as a state of being derelict and damned, but as a clean sheet and a challenge to be creative.